“Eve and Adam” by Michael Grant and Katherine Applegate is an odd story. I feel like it could have been a whole lot better. I didn’t care for this book at all. 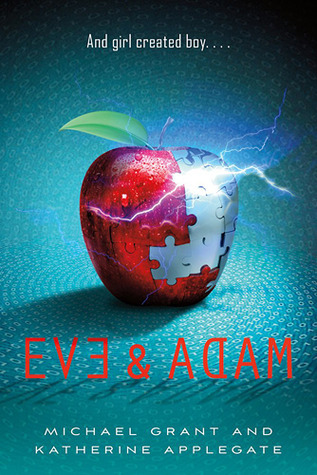 I think the synopsis for “Eve and Adam” is very misleading. 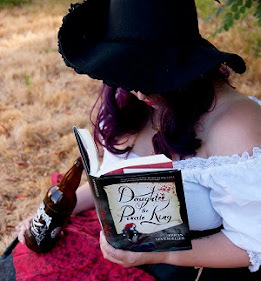 I picked up this book mainly because the cover was gorgeous, so I decided to read about the synopsis and figured that a book about a girl creating the perfect boy would be interesting. “Eve and Adam” is not really about a girl creating a perfect boy, I mean it happens, there is a girl in the story that is creating the perfect boy, but that isn’t what the story really is about. The synopsis is more about the background information. After finishing this book I felt a little lost. This wasn’t the story I thought I would be reading and “What was the point?” was the thought that crossed my mind a few times. I’m honestly not sure what point the author was trying to get across to the reader. I felt like the plot was all over the place, and I feel like the story was just beginning when it ended. The whole beginning felt like fluff, it didn't feel like it had substance. I really liked Evening, I thought she was a really good character and I was enjoying to get to know her, but I feel like I don’t even know Evening that well. With how big Michael Grant’s “Gone” series is, I was just expecting more. I might have had my expectations set a little too high. There were a few parts in “Eve and Adam” that I enjoyed but overall I really didn’t like this book. I don’t feel like it had any substance and the only attention grabber is the misleading synopsis. I think “Eve and Adam” could have been a better book than what it turned out to be. I give "Eve & Adam" two out of five bookshelves.